Dr. Nasreen Al-Sayed graduated from Arabian Gulf University, College of Medicine in Bahrain. She is American Board Certified. She completed her residency training in Internal medicine at Sinai-Grace Hospital, Wayne State University, Detroit, Michigan, USA and Fellowship training in Endocrinology and Diabetes at Cleveland Clinic Foundation, Ohio, USA. Dr. Al-Sayed is also American Board Certified in Clinical Lipidology and is the first physician to have board certification in lipids in the Middle East. Dr. Al-Sayed is a fellow of the American College of Physicians. She is a member of many Diabetes and Endocrine Associations such as the American Diabetes Association, the American Association of Clinical Endocrinologists, The American College of Physicians, The National Lipid Association and has several research publications. 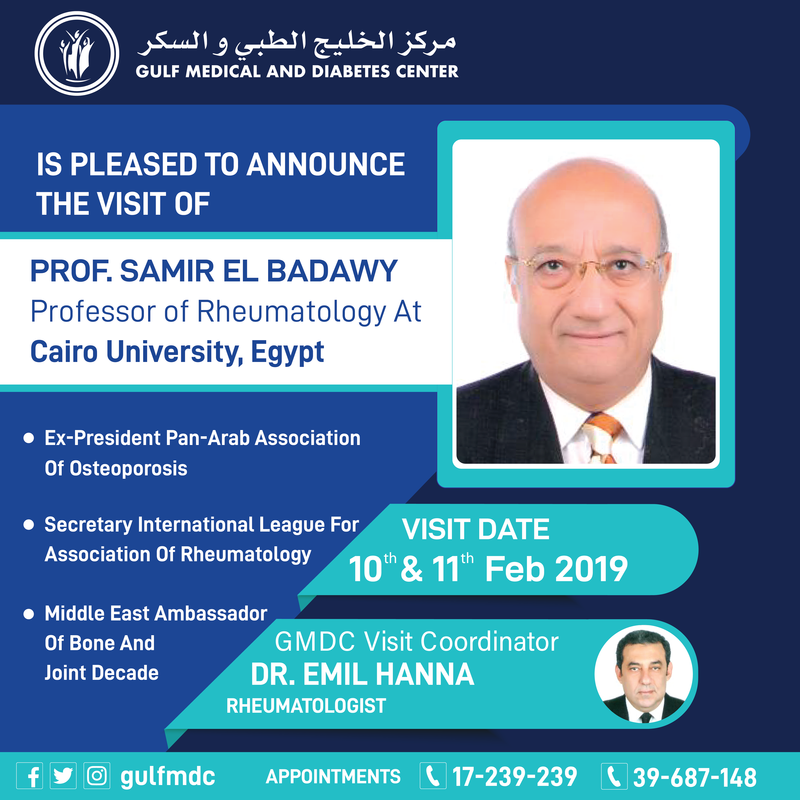 Additionally, Dr. Al-Sayed has a special interest in clinical diabetes, thyroid disorders, parathyroid disorders, osteoporosis, polycystic ovary syndrome, and hirsutism. She is the first physician in the Middle East with experience in treating resistant cases of hypoparathyroidism with parathyroid hormone. She also has teaching experience and served as an Assistant Professor at Arabian Gulf University, College of Medicine & Medical Sciences.